PRESIDENT BUSH: Mr. Prime Minister, welcome to the Oval Office. I fondly remember my trip to your country. I remember the wonderful hospitality that you and your government gave to Laura and me. I remember the thousands of people lining the street of Ho Chi Minh City and Hanoi, and it was just a memorable trip. So it's my honor to welcome you back here. Prime Minister Nguyen Tan Dung left Hanoi on June 22 morning for an official visit to the US from June 23-26 as a guest of President George W. Bush. The visit aims to continue implementing Vietnam ’s open foreign policy of diversification and multilateralisation of international relations, including bilateral ties with the US . 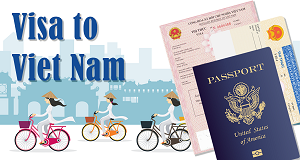 The US Assistant Secretary of Commerce for Trade Promotion, Israel Hernandez, says there are huge opportunities in Vietnam for US businesses, especially with the coming visit to US by Prime Minister Nguyen Tan Dung. Hernandez, who is also Director General of the US and Foreign Commerce Service, told reporters in Ho Chi Minh City on June 19 that the two nations are sharing numerous fresh and promising opportunities in trade. US companies believe that Vietnam will overcome the present economic difficulties, US Ambassador to Vietnam Michael Michalak said. 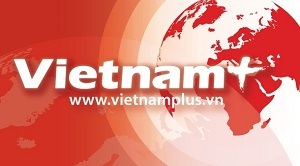 US companies believe the difficulties are only temporary ones, and the Vietnamese government’s economic management is presently good, the Ambassador told media in Hanoi on June 19. According to Ambassador Michalak, US companies pay great attention to the Vietnamese market, especially in the long-term. Vietnam and the United States held the 13th round of dialogue on human rights in Hanoi on May 29. The US delegation led by Assistant Secretary of State on human rights, democracy and labour, David Kramer while the Vietnamese delegation was led by the Assistant Minister for Foreign Affairs Doan Xuan Hung. “The Vietnamese State has always considered the promotion of human rights for all in Vietnam a priority, the foundation and a consistent ideology in writing its policies and legal system,” the Vietnamese head delegate said. The US Department of Commerce (DOC) announced on May 6 that after a six-month period of examination they have not found enough evidence of apparel import dumping from Vietnam. “After reviewing the second six months of data from the monitoring programme of apparel imports from Vietnam, there is insufficient evidence to warrant self-initiating and antidumping investigation,” the DOC said in the same day press release. American groups believe that in the next 2-3 years, the US will be the largest investor in Vietnam, which also happens to be the wish of Vietnamese PM Nguyen Tan Dung. Twenty-three US groups have finished their three-day visit to Vietnam, during which they had 15 meetings with Vietnamese officials. The visit was held by the US-ASEAN Business Council (USABC) and was the largest US business trip to Vietnam to survey the country’s business environment. Viet Nam and the US have continued discussions about science and technology cooperation in Washington D.C. During their sixth Joint Commission Meeting on Scientific and Technological Cooperation (JCM), the two countries have put forward the challenges and priorities for future cooperation. Positive dialogues will promote mutual understanding and help create mechanisms to narrow differences between Viet Nam and the US , State President Nguyen Minh Triet said. President Triet made the remarks while talking with Steny Hoyer, the United States House of Representatives Majority Leader, and Roy Blunt, the House Republican Whip in Ha Noi on January 3. Vietnamese and US officials in charge of the Viet Nam-US Trade and Investment Framework Agreement (TIFA) met in Washington D.C, on December 14 to prepare for the first meeting of the TIFA Council. Co-chaired the meeting were Bui Huy Hung, Head of the Vietnamese Government Office’s Department for International Affairs and B. Weiser, Assistant to the US Trade Representative.